Awesome! Glad you like the blog. It’s mostly just a space for my personal projects and ideas, so I’m not really looking for guest writers at this time. Thanks for the offer though. 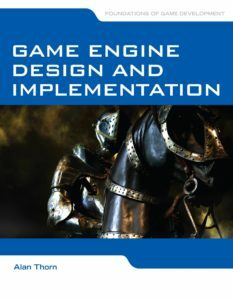 I looking for a book to begin creating a 3D game engine (hobby). I see that you already have experience in this topic. Could you please recommend me some books? Thanks for visiting the site. You can see a book list of what I have read in this post. The first 5 books are probably the best place to start. Though I did stop development for a while, I’m working on a new engine now because it is something I’ve been interested in. It’s very hard but also rewarding. Good luck!